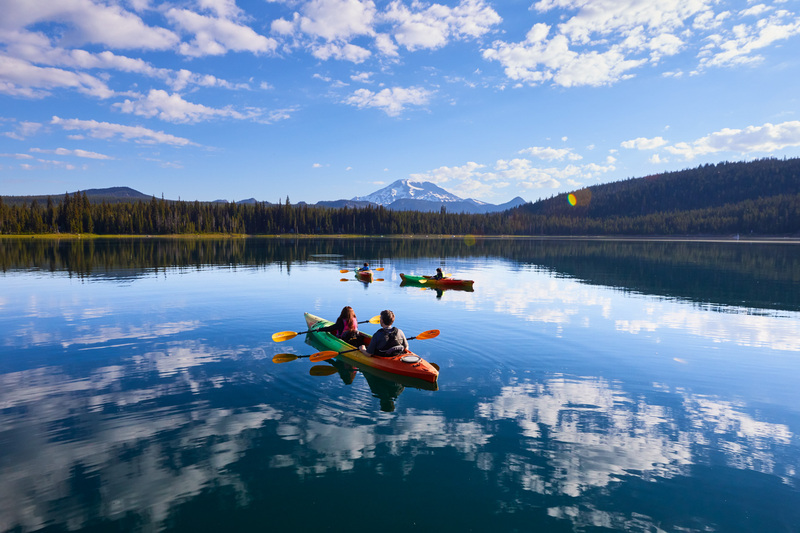 Kayaking on Elk Lake for Central Oregon Visitors Assoc. Summer shoots on Elk Lake with kayaks mean getting out of bed at 3:30am, and then driving an hour as the light gently gets brighter. Shooting early morning light means the light chases you, instead of the other way around! This was shot for Central Oregon Visitors Association.